The iPhone is known for its simplicity. On the face, iOS has stayed the same since the day it released—the home screen is still just a grid of apps. If you’ve never opened the Health app on your iPhone, you’re missing out. Health uses the motion co-processor built into the iPhone. It can track the steps you take and flights of stairs you climb every day. Plus, the Health app can turn into a repository of everything related to your health and fitness Use Automated Health Tracking to Lose Weight and Live a Healthier Life Use Automated Health Tracking to Lose Weight and Live a Healthier Life Health tracking is about taking care of your food, your workouts, your productivity, and your moods. Modern fitness trackers can now automate it all to help you lose weight and live a healthier life Read More . You can easily track your weight with it. And if you use a third-party app, you can view your workouts and sleep analysis in a single screen as well. There’s a hidden level tool in the Compass app. Open Compass and swipe left on the view. You’ll now enter the Level tool. Just put your iPhone on top of a surface and the screen will tell you if the surface is perfectly leveled. You don’t need a third-party app for scanning and sharing documents. You can do it right inside the Notes app on iOS 11 and later. Open the Notes app and create a new note. Tap on the Plus button in the toolbar and select Scan Documents. Bring a paper in the view of the camera, and the app will automatically recognize and capture it. You can capture multiple documents in this view. Tap on Keep Scan and then hit the Save button. The image will now show up in the note. You can export it as a PDF using the Share button. Next time you open the Clock app Why the iPhone Clock App Is the Only Alarm Clock App You Need Why the iPhone Clock App Is the Only Alarm Clock App You Need You don't need another clock app on your iPhone because the built-in one is so good. Here's everything your iPhone's Clock app can do. Read More to set an alarm, tap the Bedtime section in the middle. This little feature can help you go to bed at a proper time. Tell the Bedtime wizard what time you want to wake up and how many hours you want to sleep, and it will automatically remind you when it’s time for bed. Find My Friends makes it easy to share your location with your friends continuously. But you can quickly send your current location, or share your location for a couple of hours, right from Messages. Open the Messages app, find a conversation, and go into the Details section. Here, you’ll find two options: tap Send my Current Location for a one-time update or choose Share my Location to share for some amount of time. iOS 11 introduced the Files app, which is a feature-rich replacement for the iCloud Drive app. Files can show you items stored not just in iCloud, but on Dropbox and Google Drive as well. The app also makes it really easy to organize files using drag and drop. Drag and drop on iPad The Best Drag and Drop Apps for iPads Running iOS 11 The Best Drag and Drop Apps for iPads Running iOS 11 Drag and drop apps have arrived on the iPad, and this seemingly simple feature removes some of the biggest frustrations and takes it closer to being a "real" computer. Read More was one of the biggest features in iOS 11, and Files has one of the best implementations of it. But did you know that you can use drag and drop to move files from one place to another on iPhone as well? Just tap and hold on a file and keep it pinned with one finger. Tap a different file to select it. Then use another finger to navigate to a folder and release your finger to move the files. If you want to add awesome effects to your photos Top 11 iOS Photo Editing Apps for Tweaks, Filters & Artwork Top 11 iOS Photo Editing Apps for Tweaks, Filters & Artwork There are plenty of free and paid iPhone apps to edit your photos, turn them into artwork, and make you looking stunning — here are our favorites. Read More , there’s no need to look for an app. In fact, you can preview them live, as you’re snapping the picture. Next time you open the camera, swipe up in the viewfinder or tap the icon with three circles from the top toolbar. You’ll see some amazing and funky filters inside. Swipe to change between them. Personally, I’m a big fan of Vivid and Vivid Cool. And once you’ve captured the photo, the fun doesn’t stop there. Open the picture in the Photos app and swipe up. 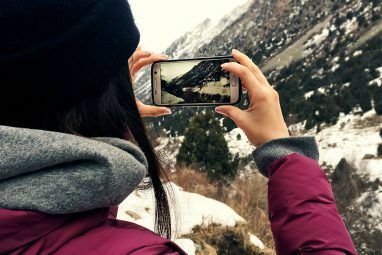 If you have Live Photos enabled How to Capture, Share, and Edit Live Photos on iPhone How to Capture, Share, and Edit Live Photos on iPhone Apple's Live Photos make pictures come alive with sound and video. Here's how to master using Live Photos on your iPhone. Read More , you’ll now see a preview with loop and bounce effects applied. Go into the Edit page, and you’ll be able to toggle Portrait mode. You can also do some basic editing with colors, saturation, and lighting. You might already know about the Reading List and Reader View features in Safari Use Safari’s Reading List for Offline Reading on Your Mac & iPhone Use Safari’s Reading List for Offline Reading on Your Mac & iPhone Want to share articles between your iPhone and Mac? Use Safari's Reading List. Read More . Reader View automatically strips the formatting and styling from an article and only gives you the text and images, in an easy-to-read format. Tap and hold on the Reader View button, and you’ll see two new options to turn on Automatic Reader View for the current website or all websites. Next time you open a link from the website, it will open automatically in Reader View—no need to click the button again! This one trick is going to save you a lot of time. 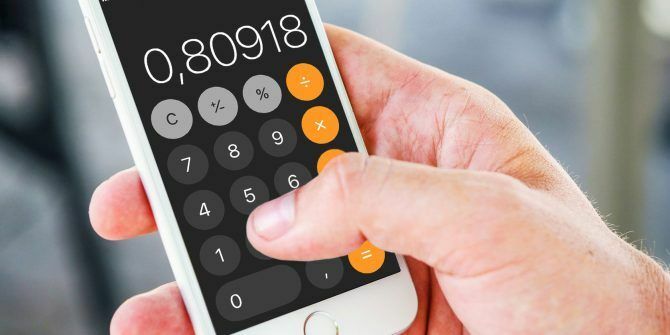 You’ve probably noticed there’s no delete key in the Calculator app. If you tap on the Clear button, it clears out the entire field. 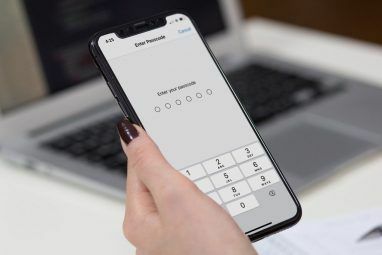 What if you just want to delete the last number you mistyped? Just swipe left or right on the number itself, and it’s done. Now that you’ve explored some of the secret features in stock apps, it’s time to take on the operating system itself. 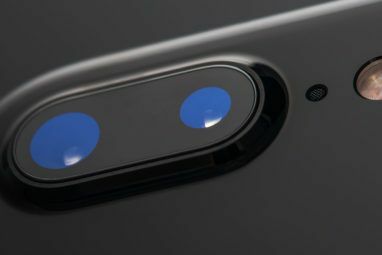 iOS is filled with little features and settings 10 Hidden iPhone Features That Will Make You More Productive 10 Hidden iPhone Features That Will Make You More Productive You're probably not using some of Apple's most useful iOS features. Read More that are immensely useful. For example, did you know that the keyboard turns into a trackpad when you 3D Touch it? Explore more about: iOS 11, iOS Apps, iPhone Tips, iPhone Tricks, iPhoneography.